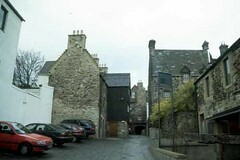 The design of the project is to make a building which is informed by the spirit of traditional Old Town construction and yet be contemporary in the redevelopment of the Holyrood Brewery site. 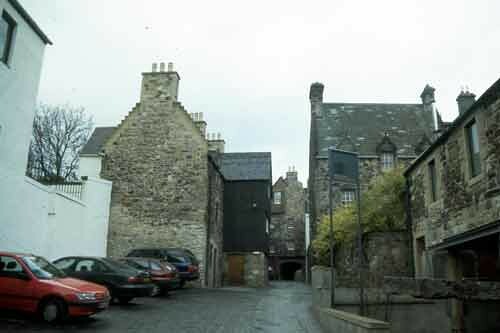 With this in mind, there are various features of the design which make reference to the pre-18th Century buildings of the Royal Mile itself, and in particular the reconstructed "medieval" architecture immediately adjacent of Huntly House Museum. 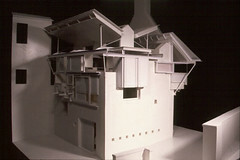 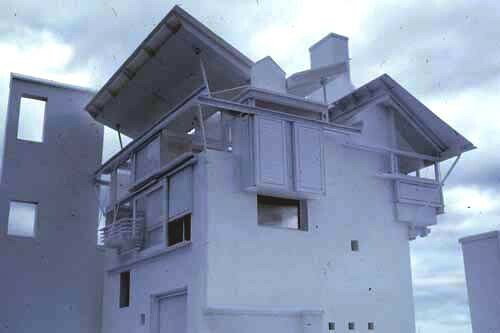 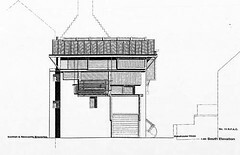 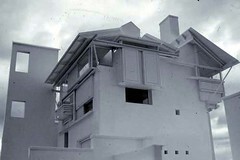 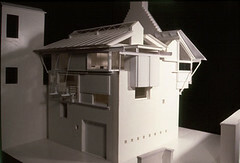 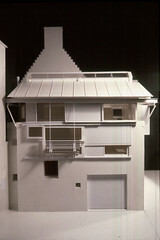 These features are: exposed external staircase to the front door; cantilevering gable roofs and elements at an upper level; timber screens and modelled timber rooms at upper levels; deliberately reduced windows at the lower level; with a contrasting large amount of glazing at the top level; and, with slate and lead roofs throughout. 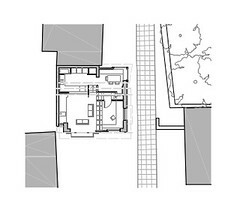 The internal accommodation of the house comprises of garage at the ground floor level, second bedroom at level +750mm, bathroom entrance hall at level +1500 mm, study at level +2250 mm (first floor) living room at level +3000 mm, kitchen/dining area at level +3750 mm and master bedroom and shower room at level +4500 mm (second floor). 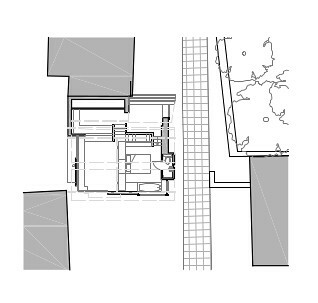 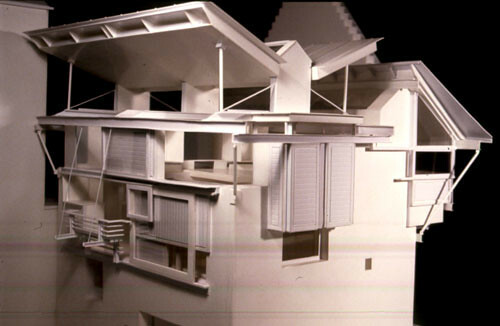 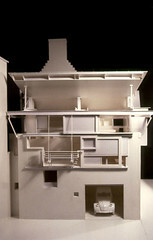 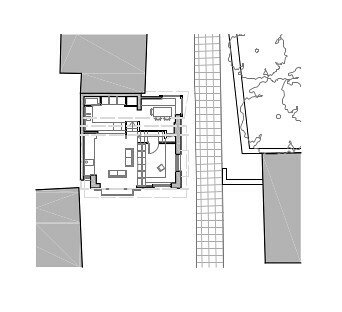 The circulation of the house spirals around these "third levels" with the upper spaces of the kitchen/dining, living room and master bedroom being essentially combined into one space. 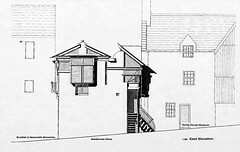 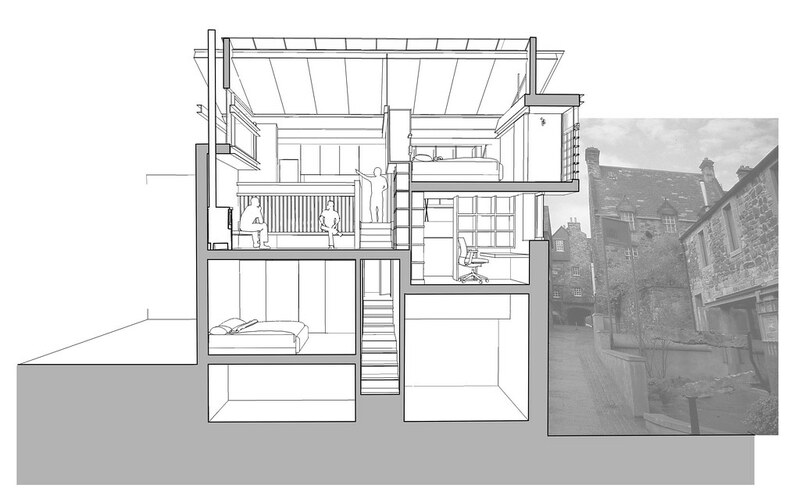 The Bakehouse Close corner is fronted by the entrance below and a cantilevering dining area above. 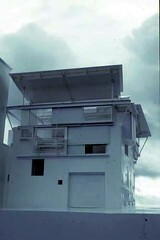 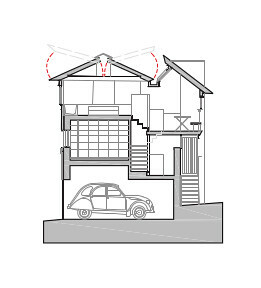 On the south side of the close the elevation is dominated by the living room window, window seat etc. 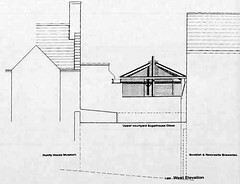 The east elevation is enlivened by cantilevering shower room and study windows and the west elevation is set back from the boundary with Scottish & Newcastle Breweries by a metre and has a clearstorey window to the living room. In particular, the living room window captures the gun sight of the Crags to the south between S&N and the recent Housing Association project. 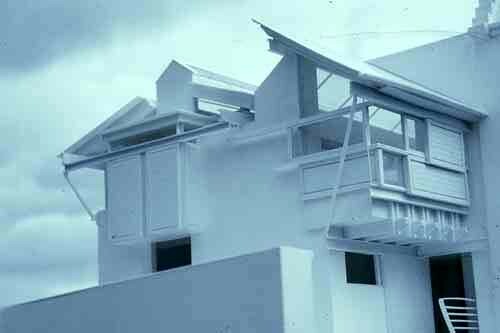 The house does not impinge in any way on the office building of S&N, only lies adjacent to the boundary wall immediately to the north of it. 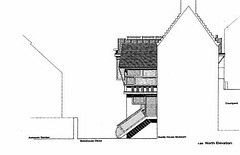 The construction of the house will be an traditional concrete block structure faced in rubble stone with lintols, rybatts etc to match existing buildings next door. 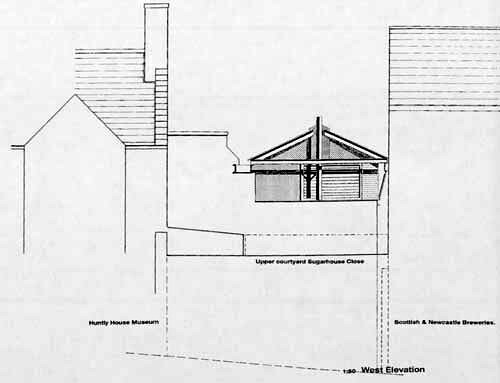 The upper superstructure will be of galvanised steel and the various timber panels will be dark stained European redwood contained within galvanised steel frames and this redwood will be stained to match the timber gables on the Huntly House Museum. The roofs will be in second hand scotch slates over the dining area and the main roof over the living and master bedroom will be in Code 6 lead. The small flat roof on the west elevation will also be in lead and there will be a flat roof area up against the Huntly House Museum, which will be paved in paving slabs.